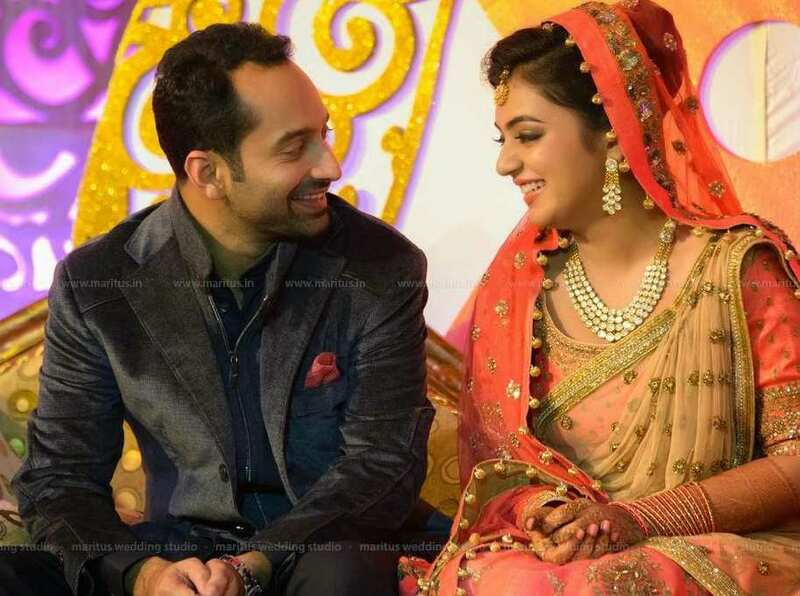 Mollywood stars Fahad Fazil and Nazriya Nazim’s engagement was held at held at Taj Residency in Thiruvananthapuram. 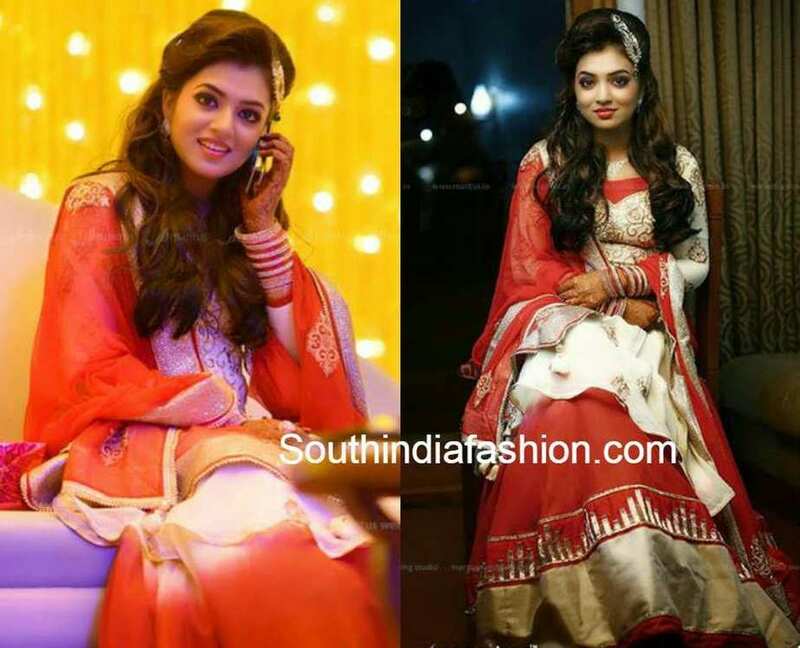 For the engagement the actress wore an yellow and orange combination embroidered salwar. A simple diamond necklace set finished her look. 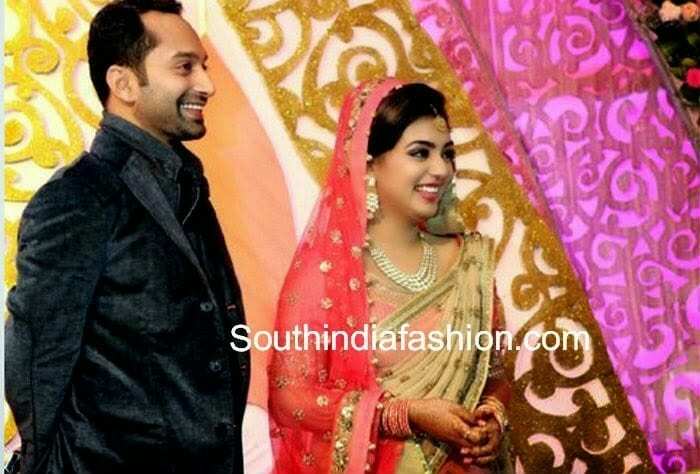 Nazriya Nazim and Fahad Fazil Wedding was held on August 21, 2014 at Al-Saj Convention Centre, Trivandrum in the presence of about 4000 guests. It was a traditional muslim wedding ceremony. 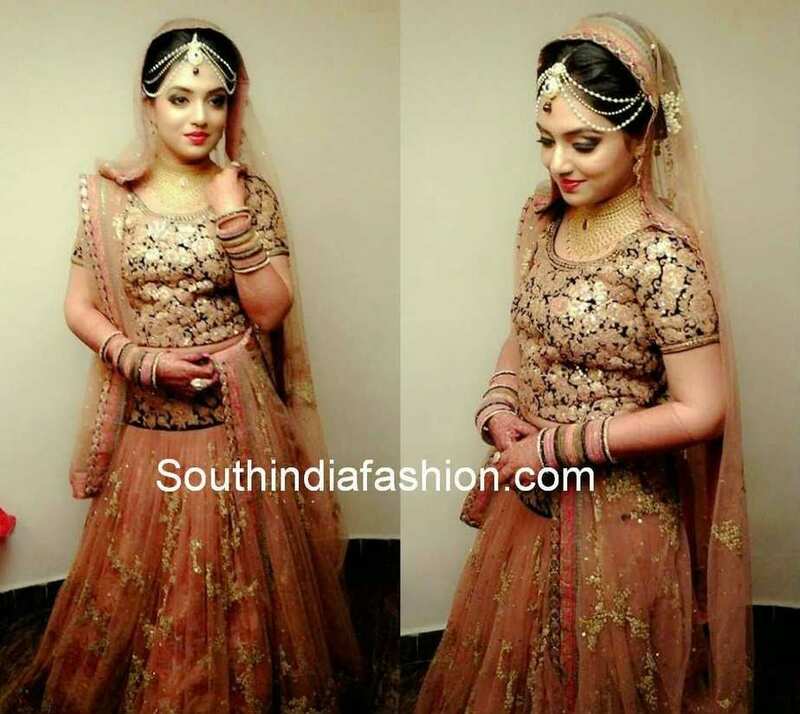 For the wedding Nazria picked an embroidered light peach color Sabyasachi Mukherjee lehenga teamed up with a black heavily embroidered blouse and peach net duppatta. 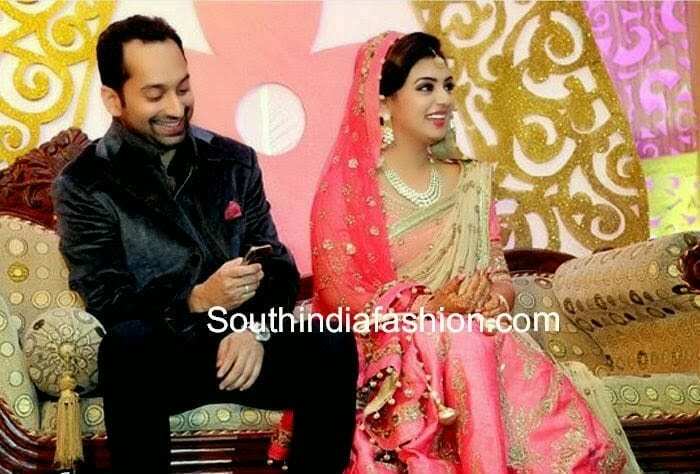 She adorned her neck with a broad uncut diamond choker and a diamond necklace gifted to her by Fahad. 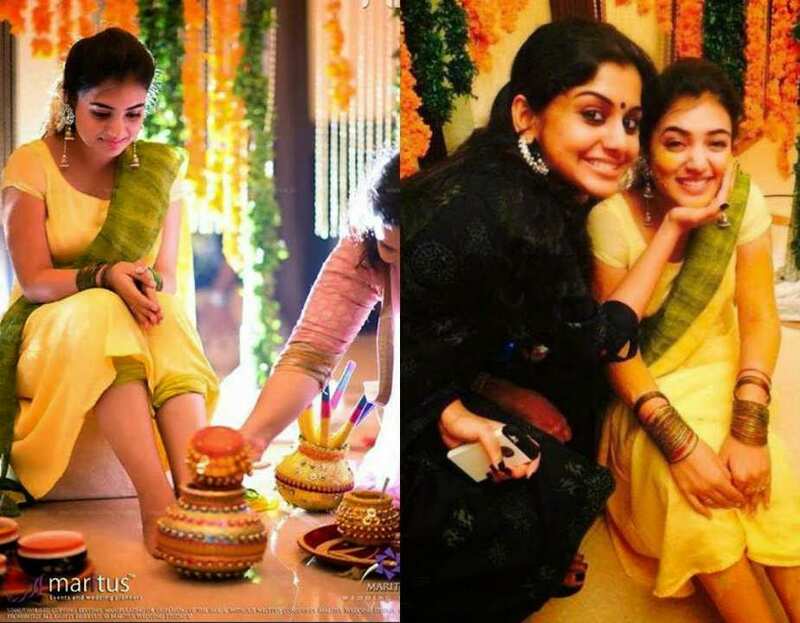 She looked elegant in the outfit!! 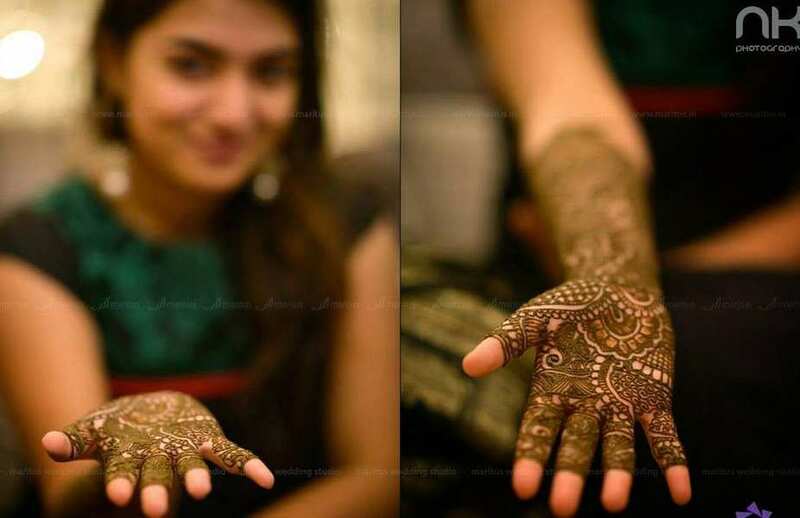 A grand reception was organised on August 24th, 2014 at Camelot Convention Center in Alappuzha. 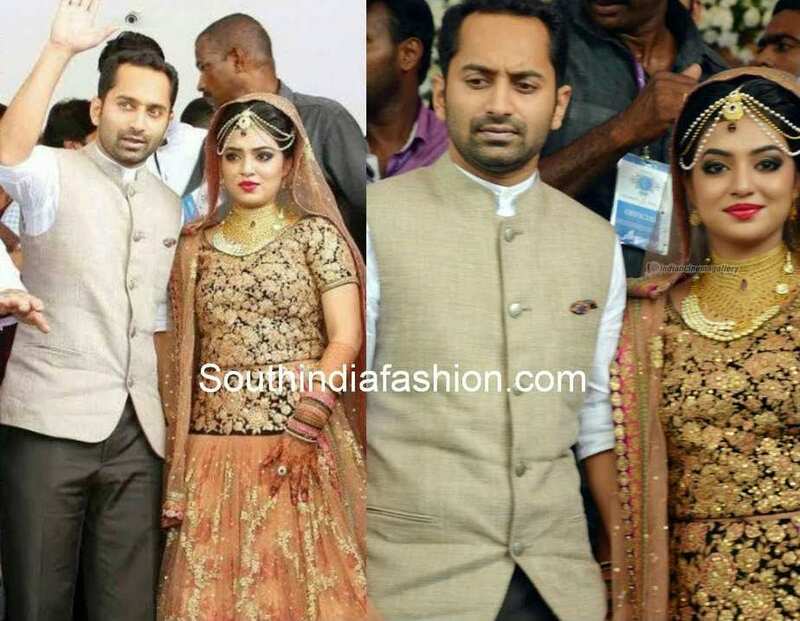 Many stars and politicians attended the reception and blessed the couple. 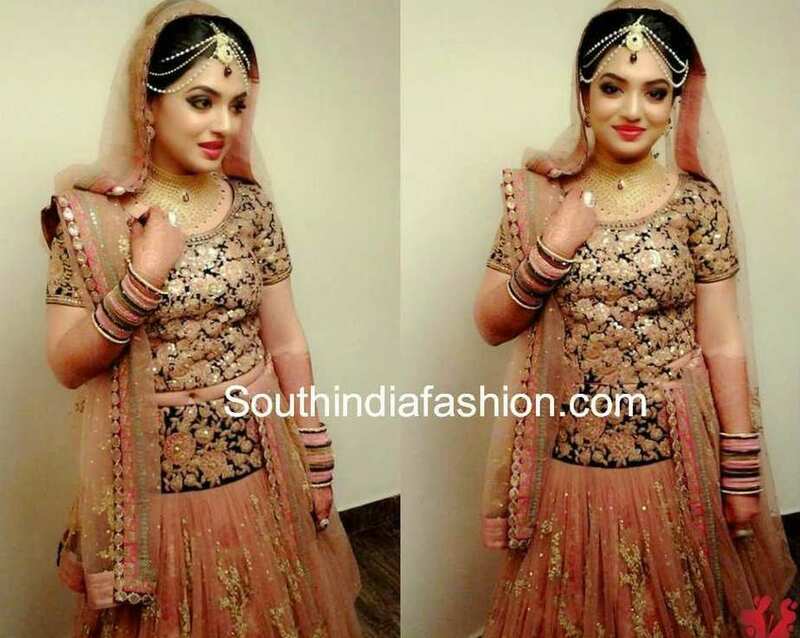 For the wedding reception Nazriya Nazim wore a pink silk embroidered lehenga, gold color embellished duppatta and a peach color veil teamed up with pink elbow length sleeves designer blouse. A lovely diamond necklace set finished her look. 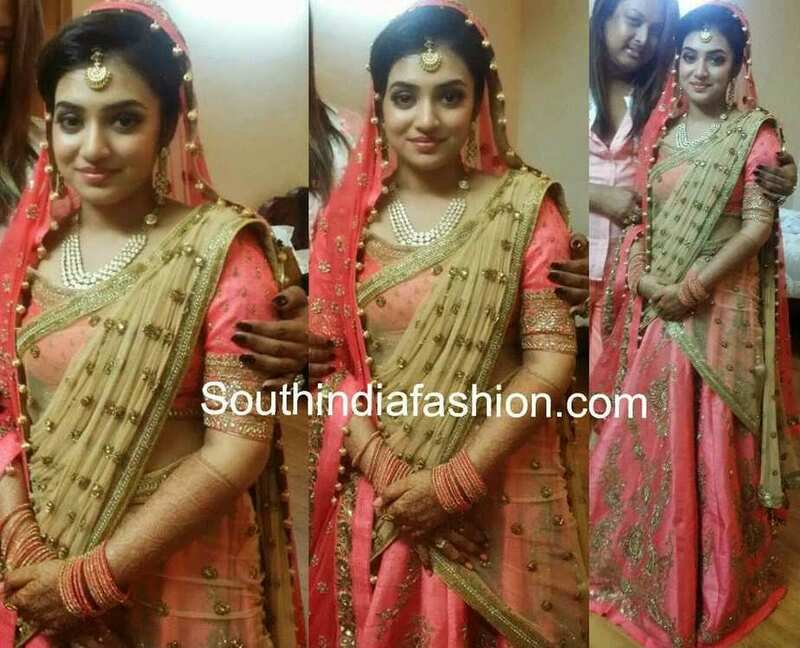 She looked gorgeous!! 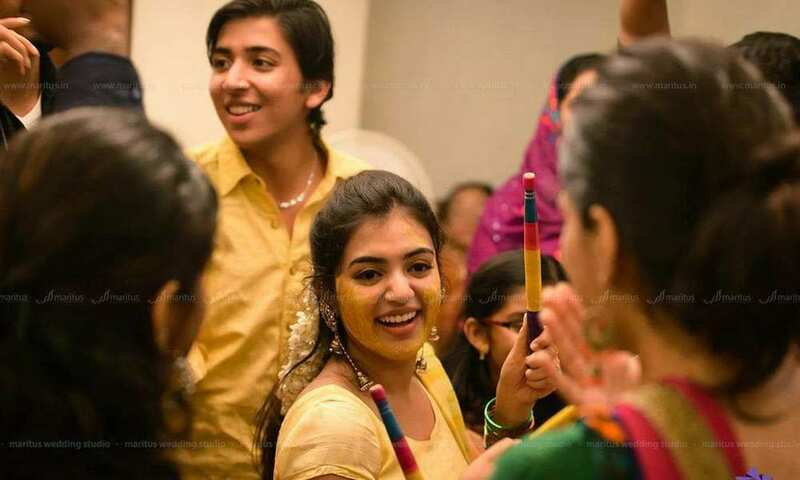 Nazria’s Makeup was done by Avinash Shankar Chethiya. Photography and wedding planners: Maritus Events and Weddings Planners (www.maritus.in).